Dr. Noor Aldeen Atatreh, AFU Chancellor headed the first meeting of the University Council on 22nd February 2017 for the academic year 2016-2017. 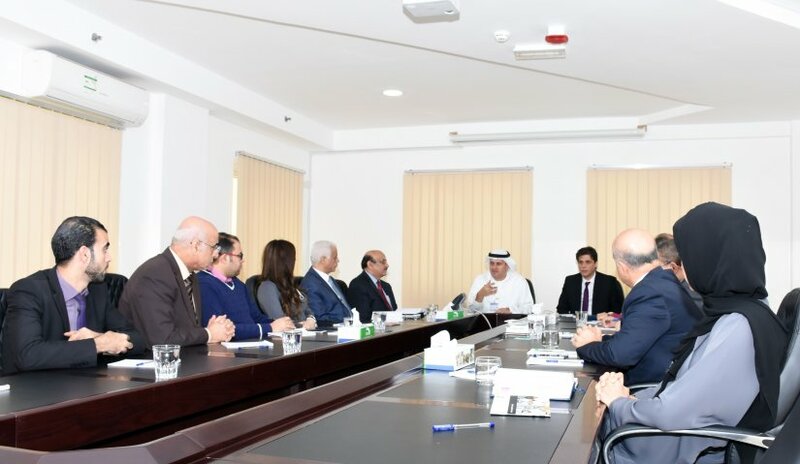 Vice President for Academic Affairs, Dr. Sameer Barghouthi, College Deans, Heads of Departments and representatives of the administrative units of the university attended the meeting. Dr. Atatreh welcomed the attendees, praised the excellent efforts of the faculty and administrative unit heads in the past period and stressed the need to continue at the same level in the coming period. The issues discussed during the meeting include the administrative and organizational concerns that contribute to enhancing the progress of the university towards leadership and excellence according to the highest and latest international standards and the plan of the university to attract aspiring students. Dr. Atatreh also discussed a number of other topics related to the affairs of faculty members, the functioning of the learning processes in Colleges and the university’s plan to add a number of new academic programs in the future. Towards the end, Dr. Atatreh encouraged the members to raise several suggestions and proposals aimed at the educational process and development of the university in line with the aspirations of the state in achieving global competitiveness and enhancing the international status of the UAE.